Kubah National Park is built with massive sandstone ridge with its three mountain peaks, the 911m high Gunung Serapi, Gunung Selang and Gunung Sendok. Situated only 22 kilometers from Kuching City, Kubah National Park is one of the most accessible of National Parks in Sarawak. Was established in 1989 and open to the public in 1995, cover an area of 2,230 hectares. Home for Wallace’s Flying Frog named after Mr. Alfred Russell Wallace. The 4th International Frog Race has been organized at Kubah National Park in conjunction with “Save The Frogs Day” on 25th April 2015. Kubah National Park most famous features are its palms and its amphibian; with almost a hundred different palm species it is one of the suitable for any nature lover, contain extensive biodiversity, rich plant, bird ,world of palm and amphibian life of Serapi Range which is only 45 minutes drive from Kuching. Premium and standard packages from day trip to overnight stay are available from tour operator design mainly for special interest tourist. 0945 hrs – Arrived at Matang Wildlife Centre for briefing. Group attended a briefing by officer in-charge at Matang Wildlife Centre before proceed for facilities inspection. 1030 hrs – Room inspection at Matang Wildlife. 1045 hrs – Went to Rayu Iban Longhouse for side inspection. 1110 hrs – Depart from Rayu Iban Longhouse to Matang Family Park for packed lunch. 1145 hrs – Briefing at Kubah National Park by our guide Mr. Gani from Straight Central Tours. 1200 hrs – Jungle Trekking to Frog pond. 1210 hrs – We proceed toward a waterfall junction before we proceed to another trail of Rayu. 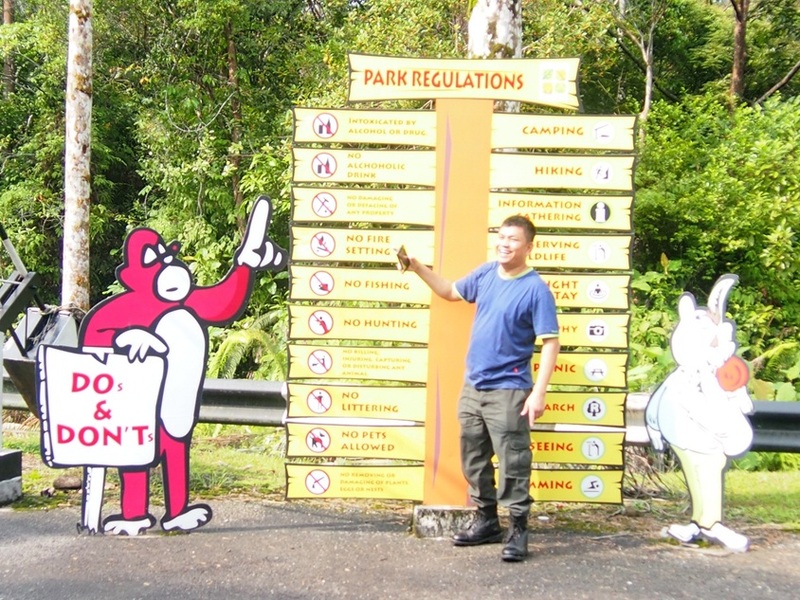 1245 hrs – We reached Rayu trail entrance and discovered the 3.5km trek toward palm garden and later to park HQ. 1400 hrs – Reached park HQ. 1415 hrs – Proceed to Telaga Air Homestay for side seeing. 1500 hrs – Arrived at Telaga Air Homestay and visited Telaga Air Waterfront. 1530 hrs – Depart Telaga Air for Matang Wildlife Centre. 1600 hrs – Arrived at Matang Wildlife Centre. 1600 hrs – Free and easy. 1900 hrs – Meet the Amphibians specialist Mr. Pui Yong Min and briefing. 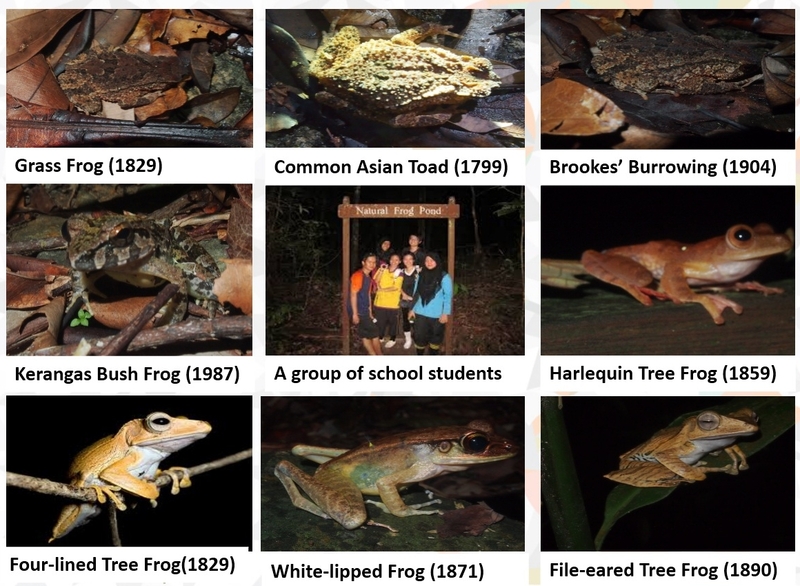 1930 hrs – Frog tour at Kubah National Park. 2230 hrs – Frog tour ended. 2330 hrs – Arrived Kuching. Wallace Flying Frog or Rhacophorus nigropalmatus also known as parachute frog. Live almost exclusively in the trees, descending only to mate and lay eggs. Mr. Alfred Russel Wallace a naturalist and biologist, 1823-1913. Travel to Malay Archipelago in the early 1900. 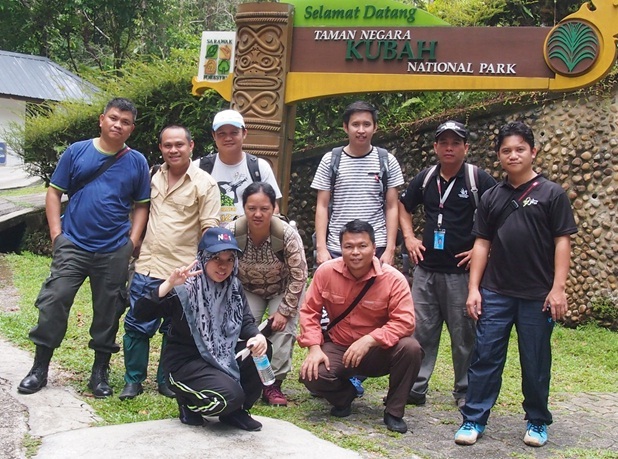 Did researched in Kubah National Park. Wallace Flying Frog named after his discovery. This trip is recommended to any type of visitor’s. Especially who are interested in Frog study or special interest tourist. Also for coming future the Straight Central Tour will going to design a “SLOW LORIS TOUR” which is the first ever tour product in Sarawak. Fantastic Idea.